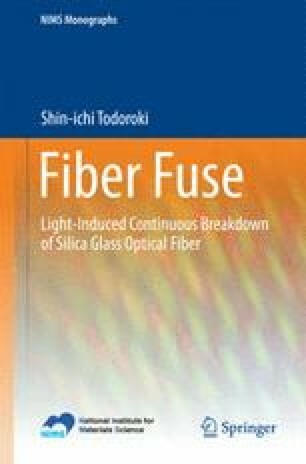 Periodicity is the most impressive feature of fiber fuse damage. However, the damaging action wears a veil of blinding light emission. Therefore, periodic void formation process is reproduced as an animation of fused damage photographs. In cylindrical mode, periodic separation of a small void from the hollow silica melt behind the traveling plasma and successive asymmetric compression makes the void bullet-like shape. In addition, two types of periodic voids are seen in unstable mode. They are brought about by transient structural variation of the plasma tail.